There was a big variety of JRPGs in 2018. From retro-inspired games set on making old ideas even better, to great modern narratives set in worlds full of futuristic tech, there’s something to satisfy most players when looking at all the releases this year as a whole. I managed to finish a fair few JRPGs from this year and there were a lot of enjoyable ones, but the JRPGs that were my favourite this year were the special gems scattered throughout that brought something unique to the genre. So as we look back on another year of JRPG fun, these are my five favourite JRPGs from this year. 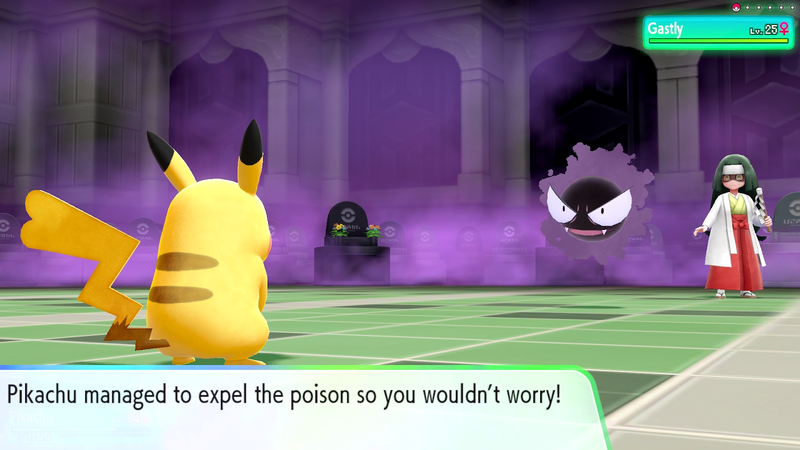 I’d been hoping for an excuse to come back to Pokémon again at some point and I’m glad that Pokemon Let’s Go was the game that got me back to it, with its visual update making it easy to fall in love with the world of Pokemon all over again. Taking mechanics from Pokemon Go, in a pleasant surprise those mechanics worked well in making Let’s Go a smooth experience, with seeing Pokemon on the field making it easier to run around without all those random battles popping up, but also still with plenty of trainer battles in between to capture the essence of both training and caring for your Pokemon in a quest to become a Pokemon master. It’s really impressive how it balances the capturing focus from Pokemon Go with the gameplay parts and maps it brings in from Pokemon Yellow and I felt a bunch of nostalgia going through the gyms and caves I played through as a kid, but this time with a more modern feel that make it feel right up there with modern JRPGs. While it technically wasn’t my highest rated monster collecting game this year if you look at my reviews, it’s the one I feel most excited about this year as it managed to give me the joy of playing a fun new monster collecting JRPG with the nostalgia from an old one I love. I’m still bringing my Pokeball Plus with me on the go with intent to go back to it and together with the way they upgraded it, I think a great job was done capturing the magic of the “Gotta Catch ‘Em All” feel of Pokemon and I truly hope the way they managed to make old Pokemon feel as smooth as a modern JRPG should will be carried onto future Pokemon games as well. The Yakuza series was one I didn’t know would be for me. It’s very different from the usual colourful JRPGs I tend to be drawn to that put me off trying the series for a very long time, but when I finally tried it towards the beginning of the year, it quickly became a must have for me thanks to how it surprised me with a really deep story. With great story and a big world, there are so many things to love about Yakuza 6. The activity-filled city of Kamurocho is the perfect backdrop to the story and can have you doing things from playing old arcade games to seeing a guy having a fight with his girlfriend that leads you to watching cam girls, and it really lets you do an insane variety of things while getting to know Kiryu more. 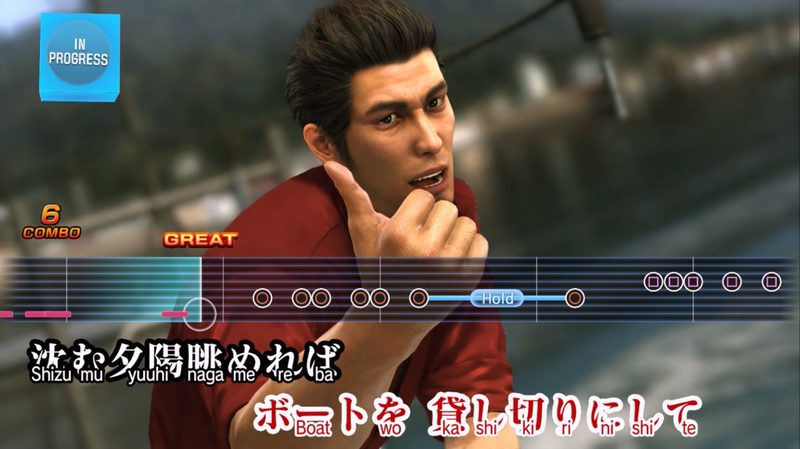 Then there’s the great main story thats cast of twisted villains that are also very human make all the conflicts of Yakuza 6 highly compelling, topped off with Kiryu having multiple layers to his personality as well. While Yakuza 6 was my first Yazuka game even though it’s the last in the series, the game stands more than well enough on its own and its 20 hour journey felt like it never lost its heat with its thrilling story has stayed with me enough to make me want to play the series from start to finish, hopefully sooner rather than later. I’m usually the kind of person to pick a modern style game over an old one, so when Octopath Traveler captivated me so much with its retro-inspired world with a modern polish, I was pretty surprised and it’s one of the most unique things I played all year. 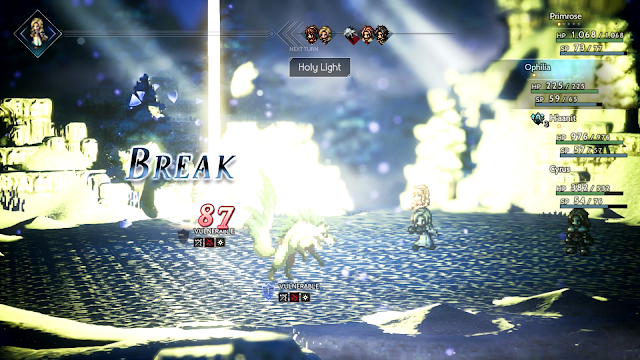 What makes Octopath Traveler so great is how much control it gives you to play how you want to play through its many choices. You can choose which character you want to start with, which classes they’ll use, if you’ll steal items or gain them the honest way and what character mechanics will help you most as you build your party, and with so many little choices to make in your journey, it makes each player’s time in Octopath Traveler unique. Its beautiful retro visuals with modern touches and the unique ideas in its gameplay make Octopath Traveler like nothing else I’ve played and with eight character stories to witness, there’s a fair amount of content to make the experience worthwhile. It’s a great fit for playing on the go with everything you can do in it over its many hours and the way its chapters are divided, and for the fun I had with its many systems on the go, it was definitely one of this year’s most enjoyable portable experiences. 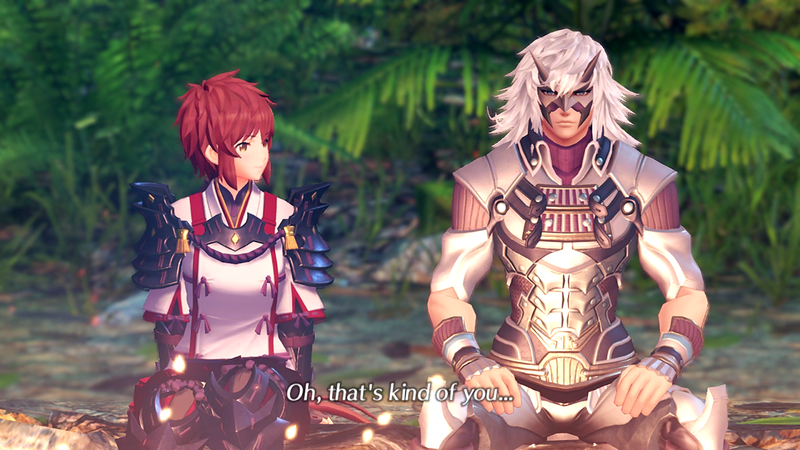 Speaking of great Switch releases, I never expected Torna, the Golden Country to wow me as much as it did. Xenoblade Chronicles 2 was one of my top picks for last year thanks to it being a big story with its mostly likable cast alongside addictive character development systems and ways to get to know its Blades, and somehow this DLC and standalone release brought everything Xenoblade Chronicles 2 did well and made it the best it could possibly be by polishing the minor flaws from the original and adding even more fun things to do. Its active battle system was cleaned up, characters I didn’t know or wasn’t overly fond of were given much more background and made more endearing, and the systems in it such as its quest-filled Community mechanic that heightened its ending made doing its enjoyable side activities feel full of purpose and gave me that same feel of wanting to come back to it to tie up as many loose ends as possible. While a lot of people could argue that Torna, the Golden Country is just DLC, something I really like about it is that it can be bought as a standalone game or as DLC for Xenoblade Chronicles 2 and the experience felt as complete as a full game, complete with the story arcs and replayability I’d expect. At 20 hours long and as a prequel, it’s a fantastic jumping in point for anyone looking for an introduction to Xenoblade Chronicles 2 and also a great way to continue for those looking for more to do and the 20 hours I spent in it flew by as both a fun and emotional journey that captured how great Xenoblade Chronicles 2 is its story moments that add meaning to the original while being a fantastic story on its own. When I saw Dragon Quest XI was coming out and how much more modern it looked compared to its predecessors, I was determined to make it my first Dragon Quest game. I wanted to learn why this series was so special to so many JRPG fans and how this series with seemingly retro ideas would fit into a world of modern looking games that are always trying to go further and further with what can be done in each console generation. 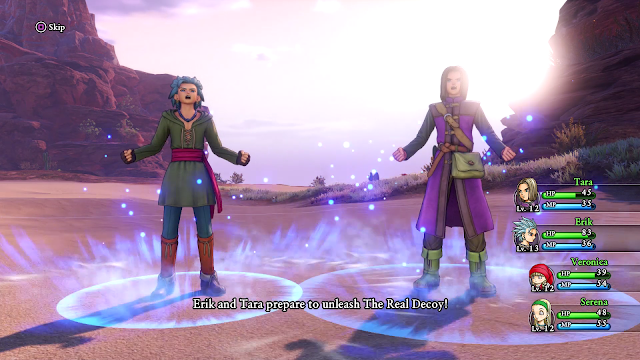 I’m pleased to say I found my answer in Dragon Quest XI and it mostly seems to come down to one thing: it’s a solid JRPG set in a very charming world. There are lots of things in it that aren’t necessarily new, but rather JRPG systems just done well, such as its turn-based systems and towns full of shops to aid you in journey like you’d expect, but it’s those little details in between that make this world so appealing. Its towns are full of NPCs that have clearly all been lovingly designed to have some sort of personality and the special attacks in battle with flashy visuals show off the charm of its likable cast in this simple but good system. The cast’s story journey could be considered very typical of JRPGs as the story focuses on a fight between light and darkness, but the way its arc make this into an epic journey makes it feel anything but. With addictive systems that work well to the cool Akira Toriyama drawn monsters you can ride and fight in its lovingly designed world, these things give it so much to like and is pretty much a must play from this year’s lineup of games thanks to all the things that make it special and make it the game I’ll look back on most fondly as my favourite JRPG of this year. You can pick up all of these great JRPGs on Amazon! What are your 5 favourite JRPGs from 2018? Was your list different to mine?